As far as Laurel could remember, Aunt Dulcie was a reasonable sort of person and quite young for an aunt, but there was nothing elegant or interesting about her. For her part, Dulcie Mainwaring accepts the arrival of her niece as a not entirely unpleasant family duty. 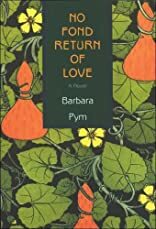 About Barbara Pym (Author) : Barbara Pym is a published author. Some of the published credits of Barbara Pym include Excellent Women, Quartet in Autumn.